Light is one of the most essential tools when it comes to growing plants indoors. A LED Grow light is a complicated topic with growers having to find artificial light as good as sun light. Grow lights come in many types and sizes with their unique pros and cons. Today we’re taking a look at Bestva DC LED Series 1000W grow light. Nowadays a popular choice among growers. 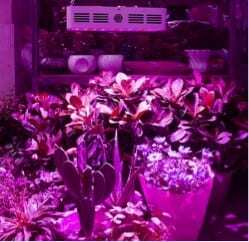 LED grow lights consume less electricity over other types of indoor lighting. Bigger the electricity bill, harder it is on your pocket. LEDs emit less heat. This means there will be no need to spend your time, energy and money on cooling mechanisms. They have a good lifespan compared to other lighting options such as HID lights and lamps. LEDs require less maintenance and replacing. 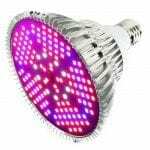 Now that we have highlighted the advantages of going for LED grow lights. Let’s move on to the LED grow light that’s being reviewed: Bestva DC LED Series 1000W light! 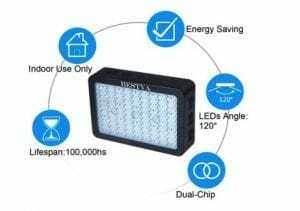 Bestva DC LED Series 1000 watt light comprises of 10W chips. Most other LED lights in the market are collections of 3W or 5W light segments. These innovative 10W double chips produce brighter and more efficient light by emitting a very high PAR/LUMEN output per LED. 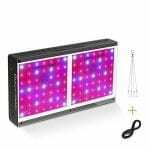 This 1000w LED grow light is very good at emulating natural sun light, which is important when it comes to growing cannabis plants indoors. The full spectrum light that it emits is suitable for plants in various stages of their growth cycles. The powerful full spectrum light that this LED produces will make sure that your plants are healthy and deliver high yields. The risk of a powerful grow light is that your plants might get burned while you’re growing them. This is because of the extra heat and the high light intensity that the grow light produces. The Bestva DC LED Series 1000W grow light has a powerful system of cooling fans. The system stops the LED light from heating up and makes climate control easier. The Aluminum panel and the glass come with a lot of holes. This ensures that the light cools off further through better heat convection. Thanks to these cooling mechanisms, the Bestva DC 1000W LED grow light operates at around 50-60 Fahrenheit. Cooler than other lights in the same price range. Two feet above the canopy of your plants, the Bestva 1000W Double Chips LED comfortably covers an area of 5.1 feet by 4.7 feet. Let’s break everything down to the pros and cons. This way it’s easier for you to determine whether the Bestva DC LED Series 1000W is the solution for your indoor growing. 3 year warranty, shows how confident Bestva is about the quality and durability of the product. 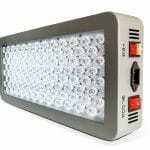 The light states 1000w but it is equivalent to a 600w grow light. So far, my experience with the light has been very positive. 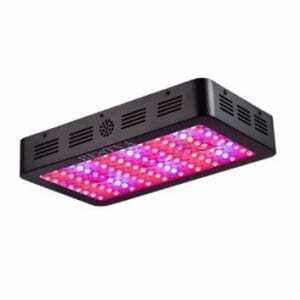 I would recommend this light to people looking for a powerful but affordable full spectrum LED grow light. 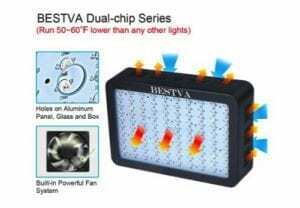 Bestva Double Chip 1000W LED is a great option in terms of high-intensity full spectrum light at an affordable price. It’s already a popular choice among growers and it is a great light due to its price/quality ratio.